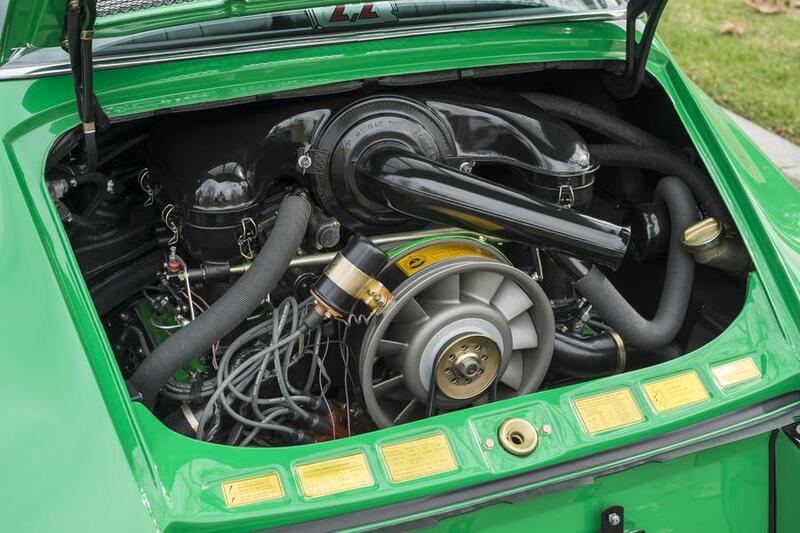 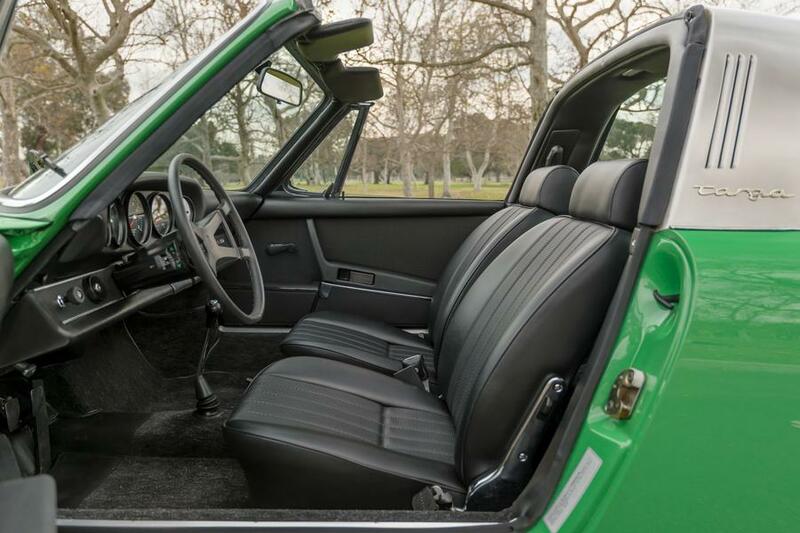 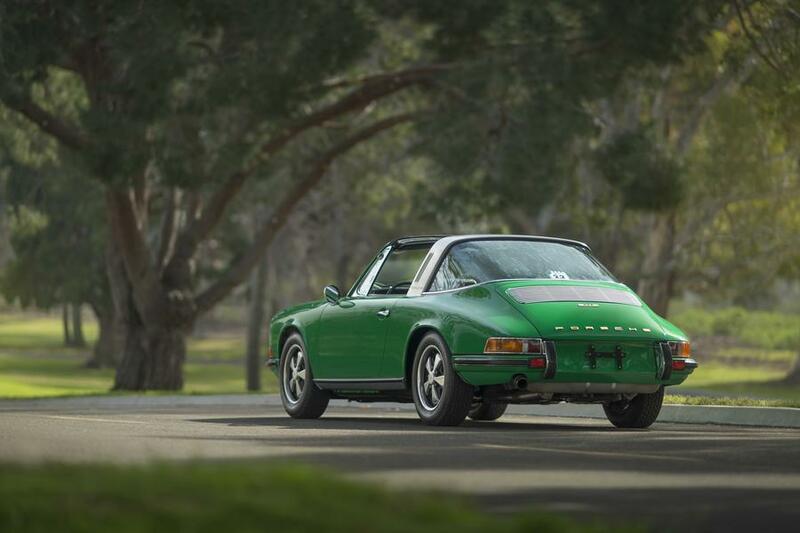 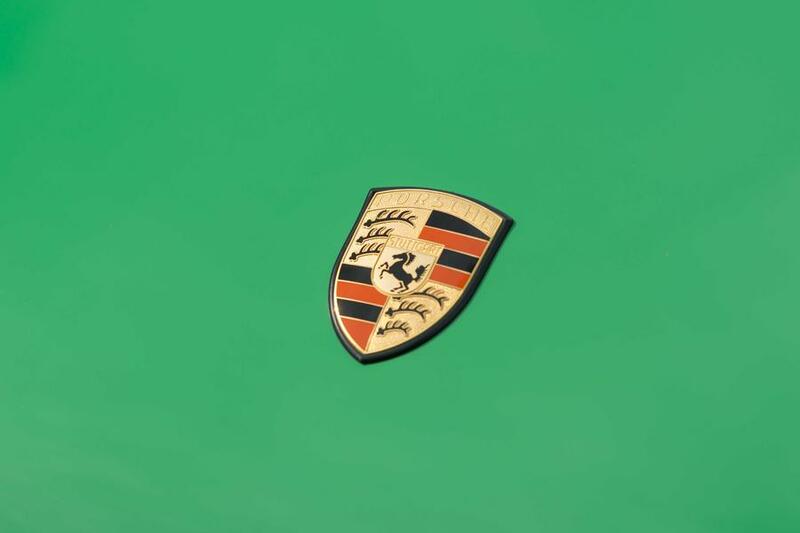 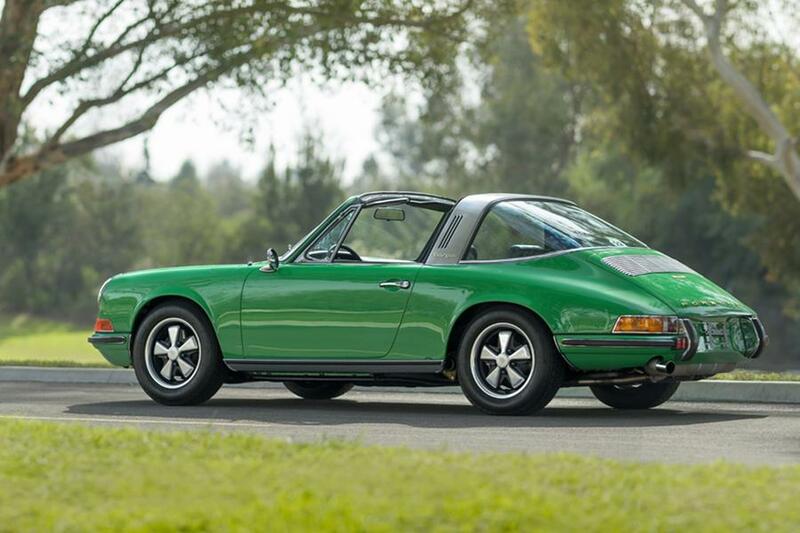 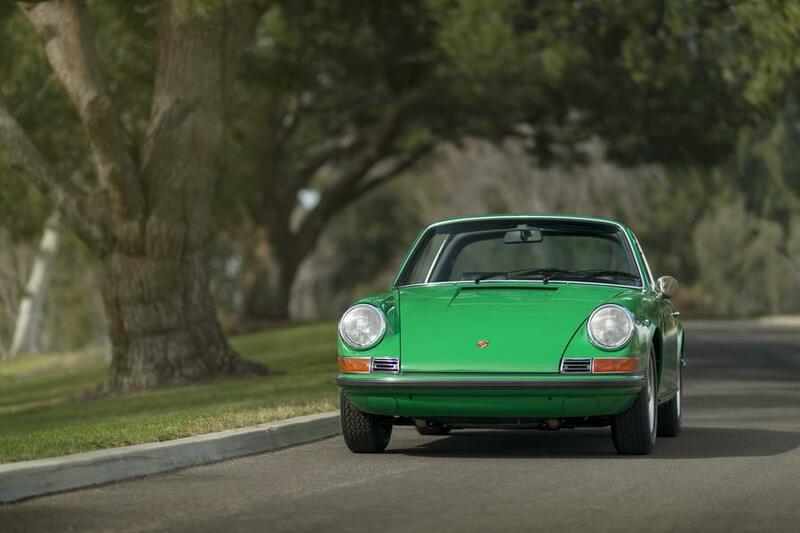 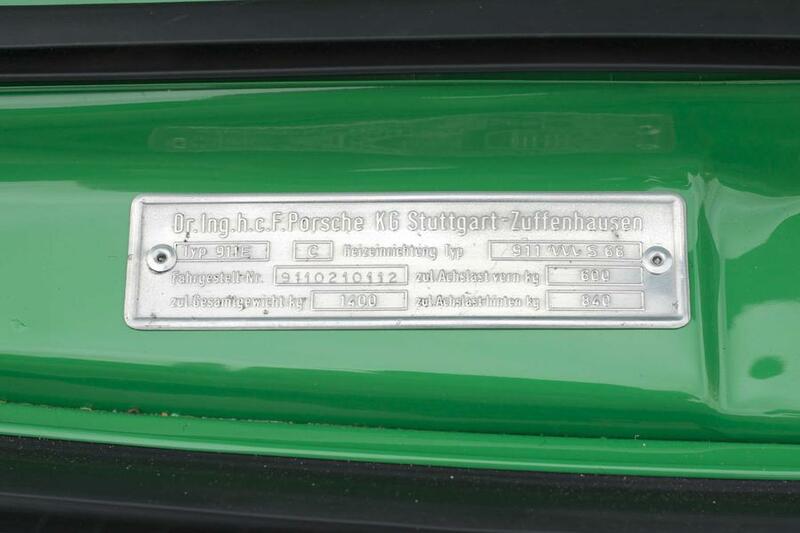 Unique opportunity to own a rare and desirable 1970 911E Targa in the beautiful color Conda Green 2610. 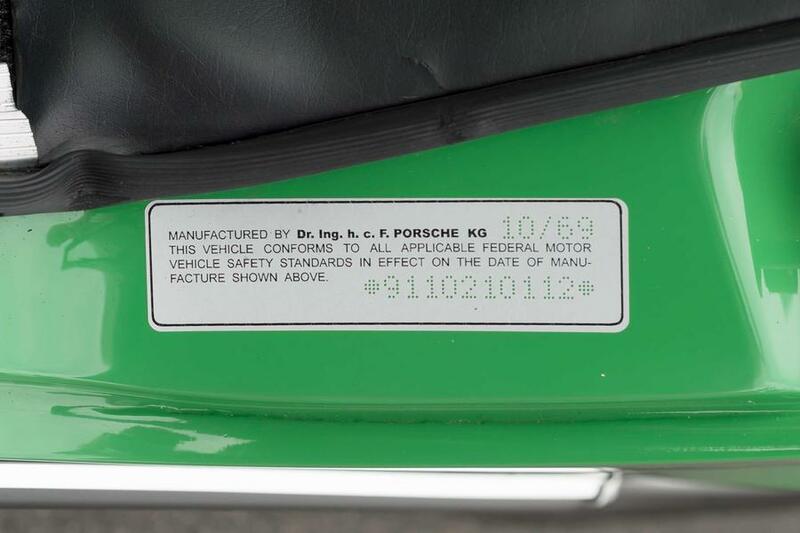 This is a numbers matching California car with Certificate of Authenticity. 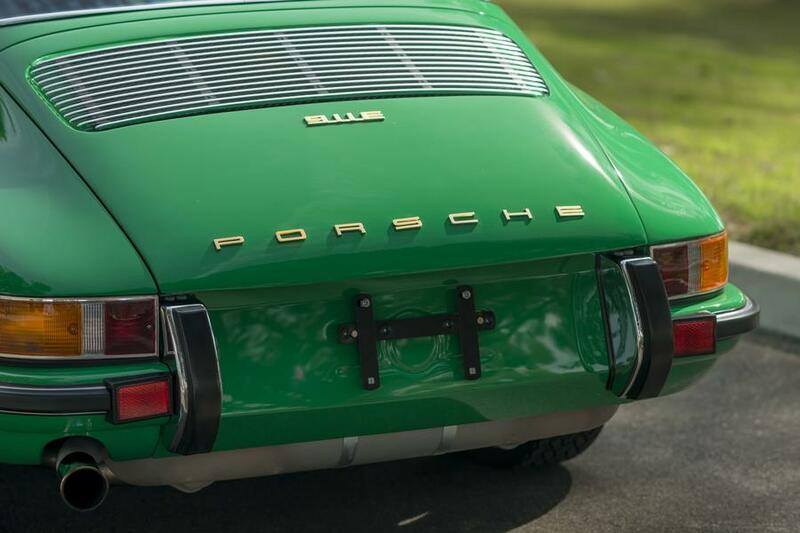 We restored this vehicle back in 2014 for a client of ours and he now needs more room in his garage, his loss is your gain! As with all our Porches, we restored this one to a Concours level of quality and authenticity. 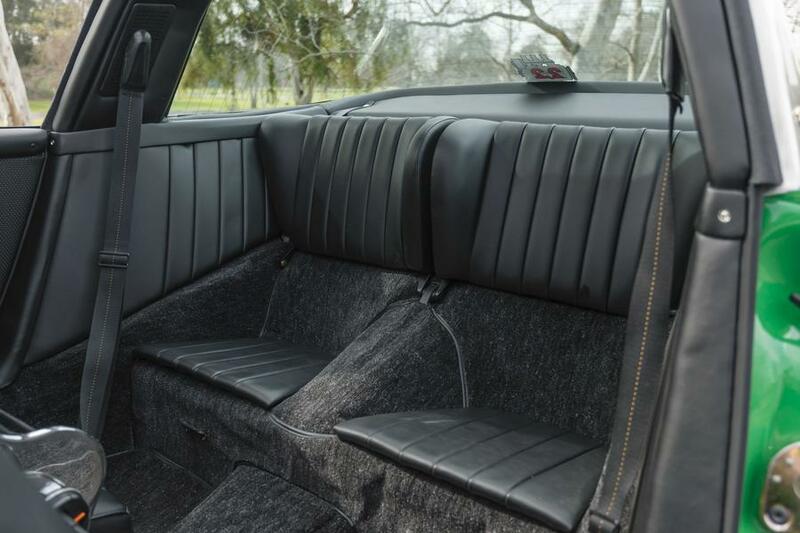 Per the COA, options included are; U.S. Equipment, Antenna Left w/ loud speaker and noise suppression and tinted glass all around. 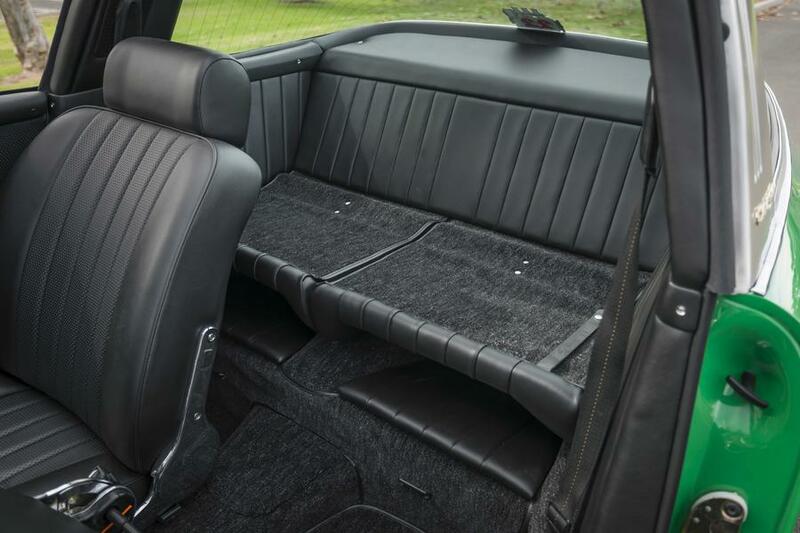 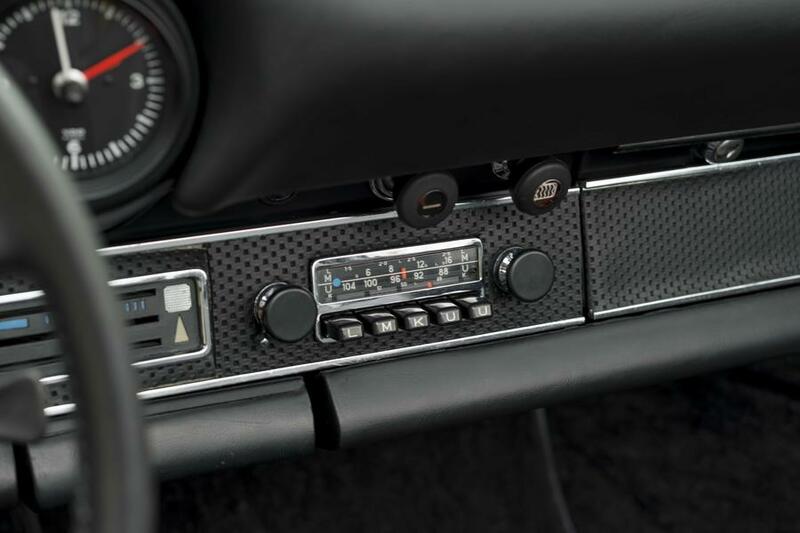 The vehicle came from the factory with a black leatherette interior w/ headrests and Blaupunkt-Radio. 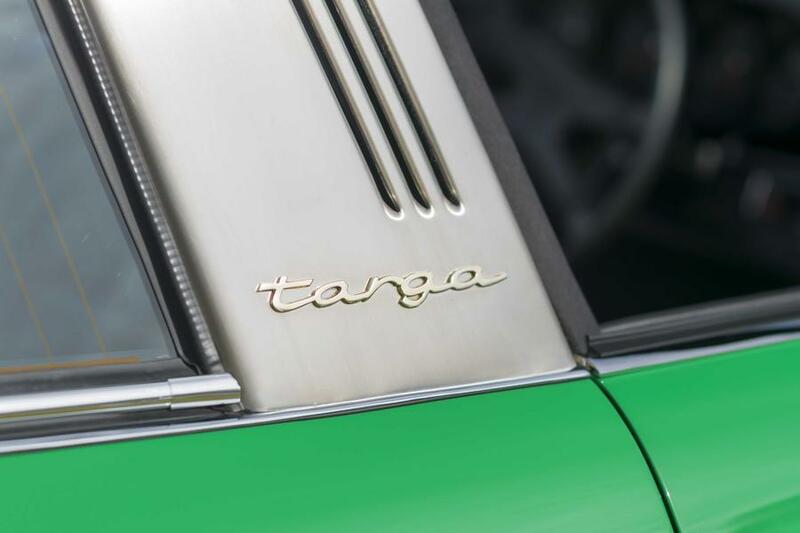 For the restoration, this car was professionally painted Conda Green in our in-house painting facility with a bare metal, empty body (sand blasted) repaint. 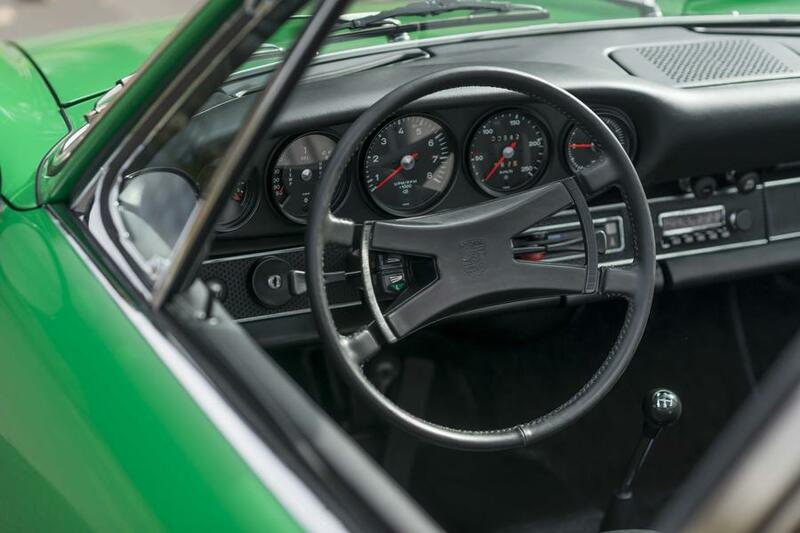 The numbers matching engine was completely rebuilt, including the MFI system, transmission, suspension, brake system etc. 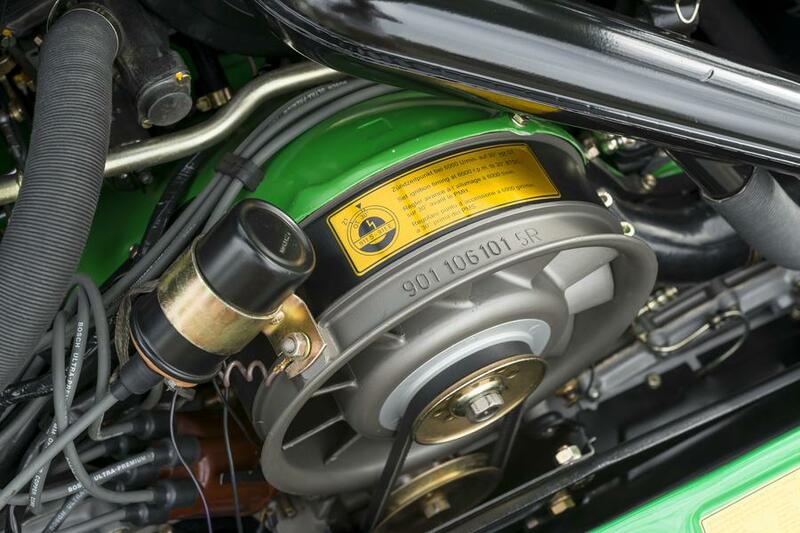 Weidman Wheels and wrapped in Michelin tires. 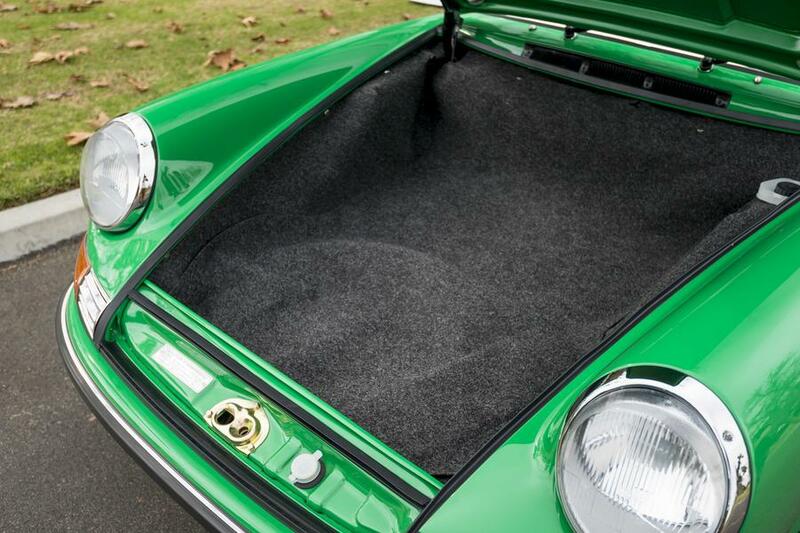 The matching spare deep 6 is in the trunk along with the original jack stand and brand new tool kit. 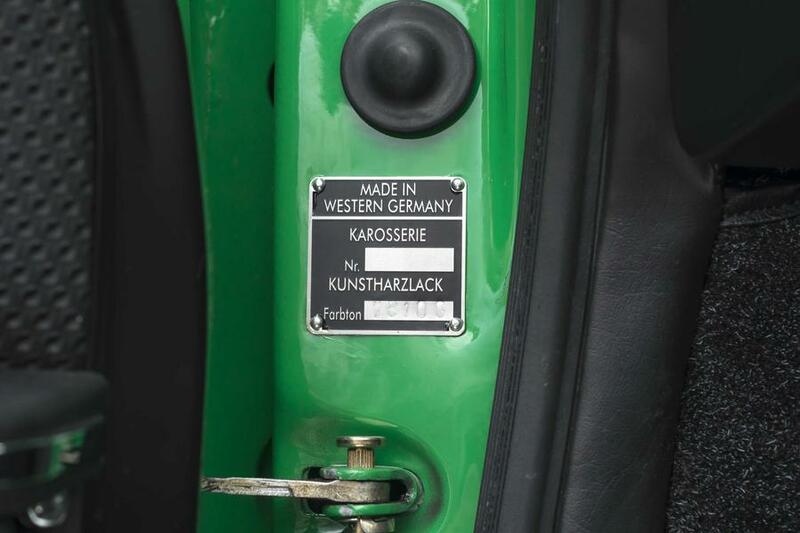 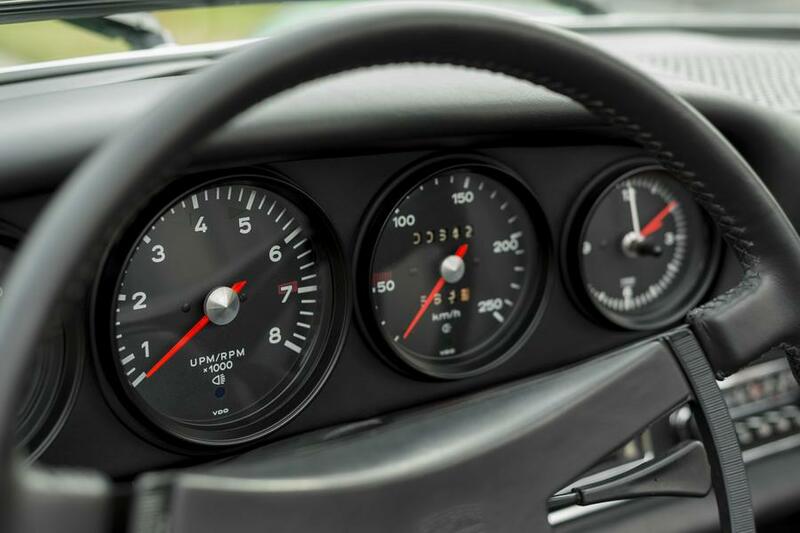 This vehicle has been in a serious Porsche collection since its restoration in 2014 and has only 627 miles on it, barely broken in. 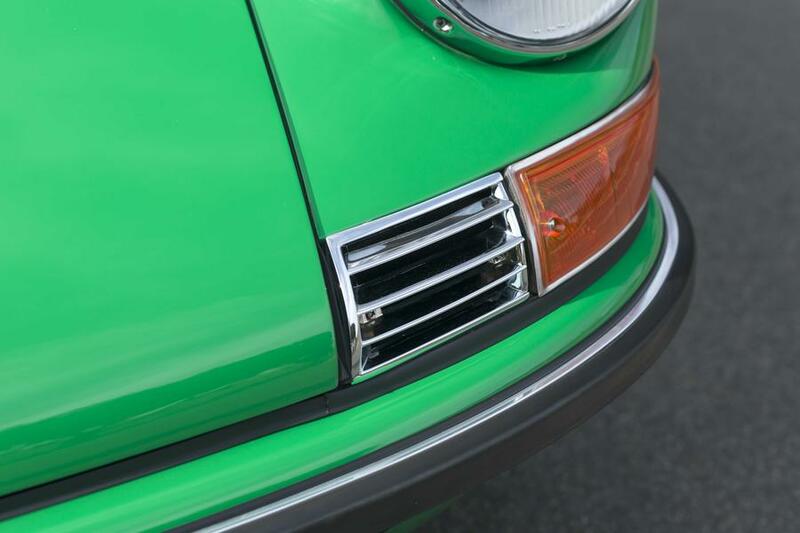 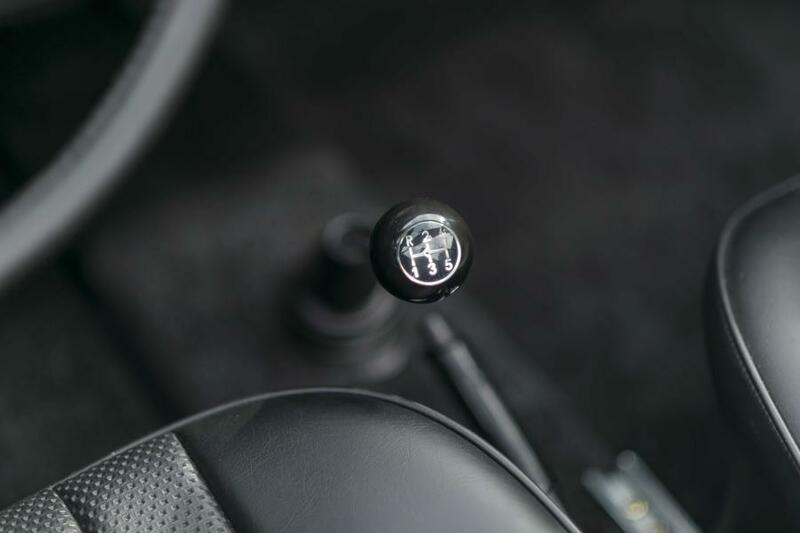 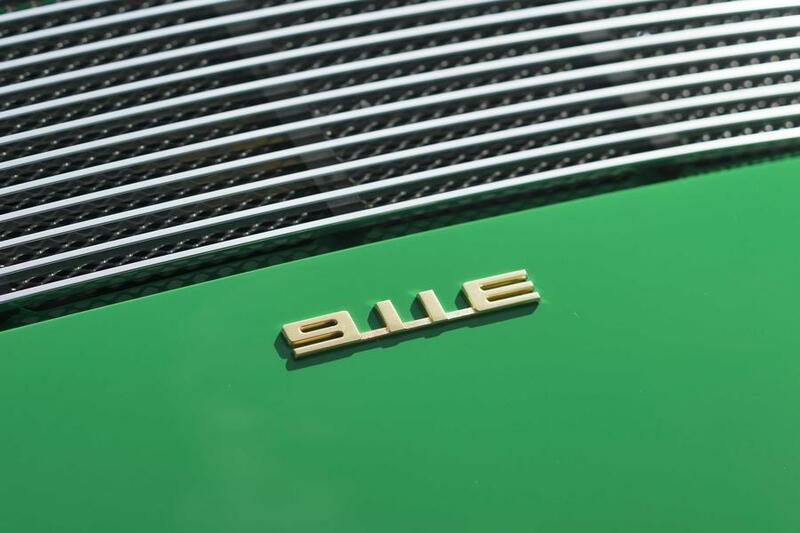 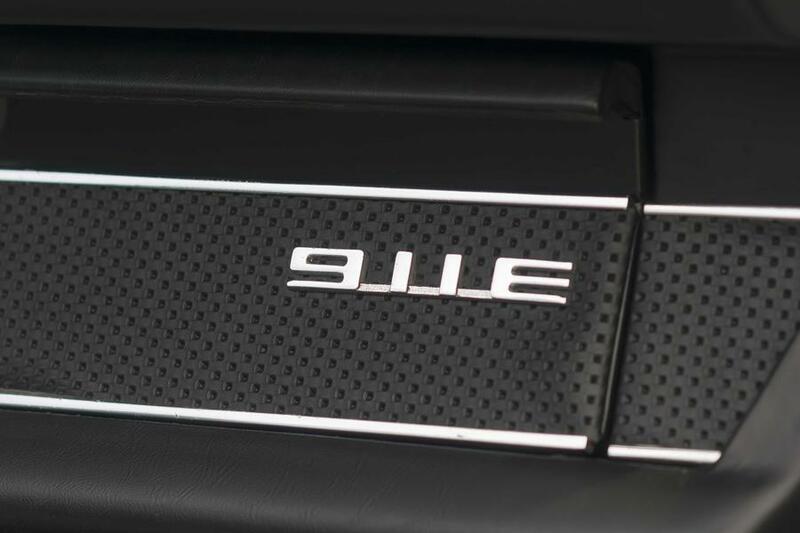 Given our waitlist average of 2-years for one of our fully restored cars, this is a great opportunity to instantly gratify your itch for an early Porsche 911. 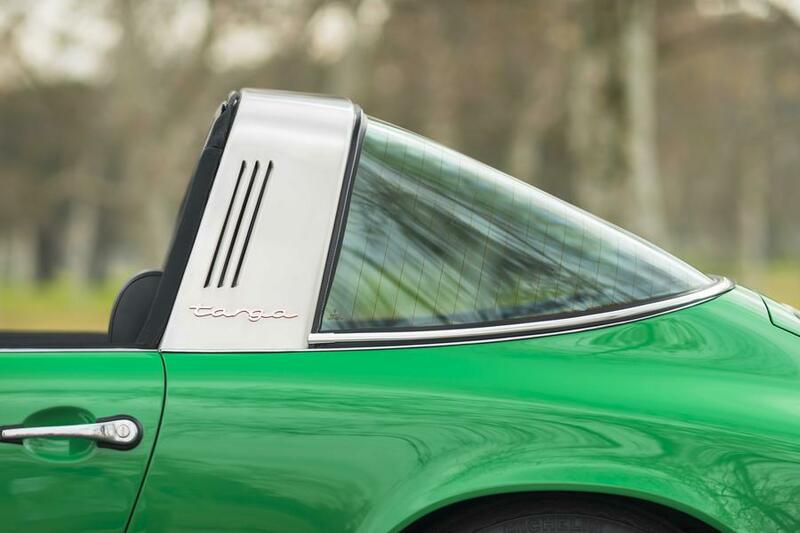 This also allows us to back up all work/documentation done to the car as no money was spared bringing this 911 back to a Concours level of quality and authenticity.